Triton's GU8 is a tilt bed single torsion axle utility trailer. Low deck height and dropped tongue make for a low ramp angle for loading. The GU8 is a great all around multi-use trailer for ATV's, side by sides, garden tractors, yard waste and much more. 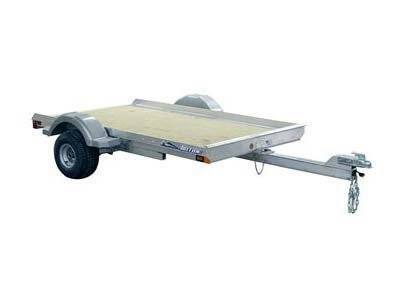 The wide selection of accessories like a ramp are offered to make this GU8 trailer fit all your hauling needs.